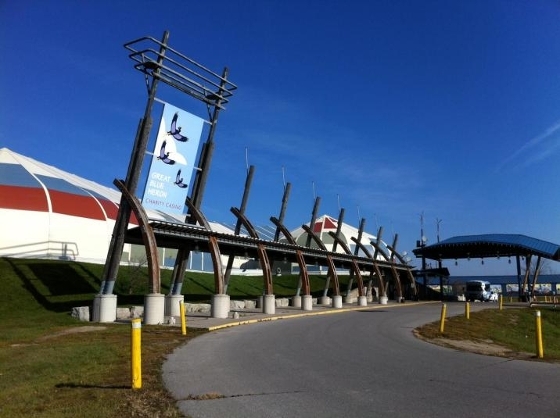 The Great Blue Heron Casino on Scugog Island, near Port Perry, may be slated for an expansion in the near future, according to a statement made by the new Chief of the Mississaugas of Scugog Island First Nation, who own the facility. Kelly LaRocca was elected Chief on July 8, 2013 in the bi-annual election. She is a lawyer specializing in insurance defence and class-action litigation, and with those credentials, may have a good chance at reigniting negotiations with the Province of Ontario on gaming expansion for the casino, which has been operating since 1997. It originally included gaming tables and a 650-seat bingo hall, which has since evolved into a slot machine hall. It currently holds 60 gaming tables and 545 slot machines. Expansion and modernization has been on the First Nation's agenda for a number of years, but has not been approved by the province. The scope of the plans has not been released, but could offer insights on impact to the surrounding community, including real estate values and employment implications for the area.